Facebook’s dominance of digital marketing is truly impressive. Since its launch in 2004, the social media platform has grown to dictate how people across the world use the internet; in countries like Cambodia, where Facebook is the internet for many people, almost half of the population use Facebook on a daily basis for news, entertainment and communication. Little wonder then that marketers and brands have piled on to the platform to attract new customers and increase sales. Yet does marketing to Facebook, and chasing page “likes” make sense for a brand or startup to grow your sales or spread your message? Geeks in Cambodia decided to take a look into the role that Facebook plays for its some 7 million active users in Cambodia, and how to best utilise the influential platform to boost digital marketing efforts. One clear advantage of Facebook is the data it provides companies. 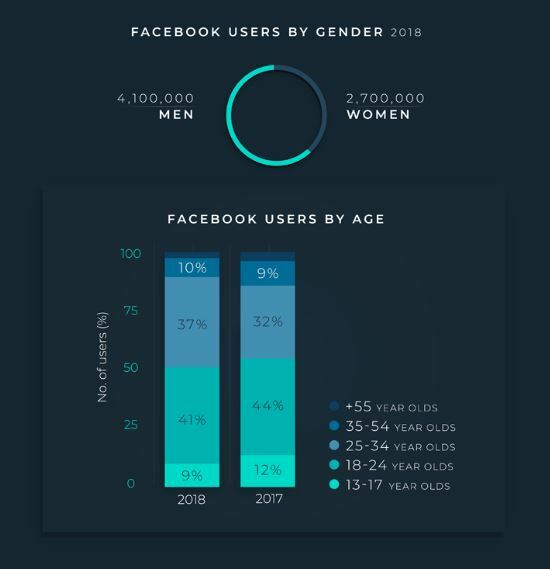 We know for example, that in Cambodia 40% of platform users are women, and that 41% of Facebook users are between 18-54. This kind of accurate data is very difficult to get from other media sources like TV, radio or newspapers, meaning that Facebook offers brands the perfect way to better know their customers and fans. Yet utilising data is not often the primary goal of many companies who use Facebook — rather, they want to be seen as popular via ‘likes’ and follower numbers. 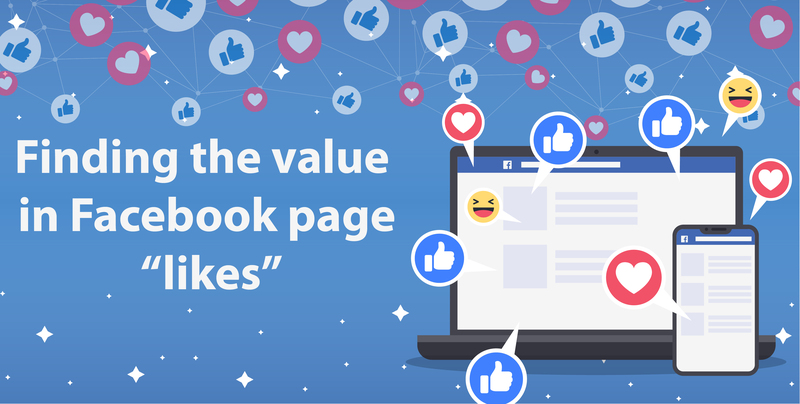 Digital Marketing campaigns that focus on driving the acquisition of likes, without a plan on what to do afterwards are missing the main point of using Facebook for marketing in the first place! A ‘like’ or ‘follow’ has no value by itself to driving sales, rather they serve as a popularity contest against competitors; as we know in Cambodia, the page “like” race even includes politicians and the issue of Facebook “like farms” is one that the company seems unable to fully address, with bots and other nefarious methods used to generate large numbers of ‘likes’ for a page. The biggest advantage for a brand of having a following, and ‘likes’, is that is provides an indication of the size of the audience that you know at the very least has heard of your brand or services, and at best is a fan or, even better, an existing customer. Smart Axiata, the leading mobile telco in Cambodia with a strong focus on youth development and social responsibility, has a very active Facebook page up to 2.67 million Facebook followers. This makes Smart the most “popular” telco in Cambodia with the largest Facebook fan-base that regularly posts about new services, competitions, and special offers for its fans, explained Phon Piseth, Smart Axiata’s Head of Marcom & Events. 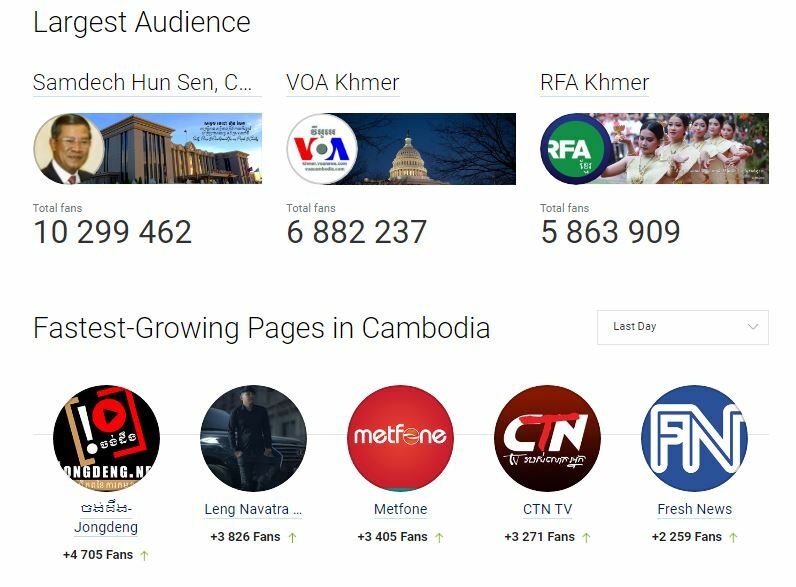 With 8 million subscribers in Cambodia, it is clear that the number of Smart’s Facebook fans is not an accurate representation of how many people use the brand, but it does allow Smart to know more about those who interact with the brand. For Pi Pay, the most popular cashless payment app in Cambodia, their Facebook-first marketing strategy has focused on a number of areas — fan acquisition, fan interaction, merchant acquisition and retention and, of course, getting people to download their app. “At the beginning, using Facebook to boost our visibility was key, so fan acquisition and brand promotion were a strong early focus. The more people who are aware of Pi Pay, the better we are able to interact with them and share news, promotions and information,” explained Pi Pay Chief Marketing Advisor Patrick Uong. Pi Pay has more than 586,000 ‘likes,’ far ahead of most others in the Fintech sector, yet not quite at the levels enjoyed by the Prime Minister and other political and entertainment figures, and media organisations. But what value do these ‘likes’ actually have? “Not much really. A brand’s ad boosting budget is more important than followers, as this is the main determining factor in reaching your target audience,” explained Roman Di Geronimo, an expert on social media in Cambodia. While the existing focus on page ‘like’ acquisition in Cambodia may be missguided in terms of increasing sales, Facebook’s role in Cambodian life is unmistakable. Yet it is not unchanging, and neither is the social media and Digital Marketing landscape in the Kingdom. Advertising on TV, radio, billboards and in print still forms a viable part of a marketing strategy for many companies. And social media platforms like Youtube and Instagram are making inroads at the same time that Twitter and Snapchat, so popular in Europe and the U.S., are finding it difficult to gain traction. The rise of the Key Opinion Leader (KOL), or social media influencer, is a recent phenomenon in Cambodia, but is seeing rapid success in reaching audiences with messages of support for brands and products in a way that traditional marketing, and even ‘traditional’ social media approaches cannot. What the future of Digital Marketing is in Cambodia is not exactly clear. As Facebook loses popularity with audiences around the globe, particularly younger people, will this be the case in Cambodia? Will different platforms provide a better way to directly reach people with messages and advertising they are likely to respond to? Who knows, but Geeks will continue to pay close attention and let you know what new ways Cambodia’s tech and entrepreneur community can best utilise.